We all love to watch movies. I for one love the cinema experience. Sitting in a fully darkened room on a comfortable cushioned seat with a huge screen and surround sound, it really brings out the essence of each movie. And what better way to complete the experience than to have food like popcorn, hotdog, nachos and good ol' coke? Besides, after the movie, you can just leave your trash behind and the cleaners will take care of it. Real convenient, right? But did you know that this usually results in a very dirty cinema at the end of every movie? GV invited me to stay back after a movie to have a look at this. The sight? Not pleasant at all. Every year, 11,830 manhours are spent cleaning up 109,500 kg of trash, just from one cinema. 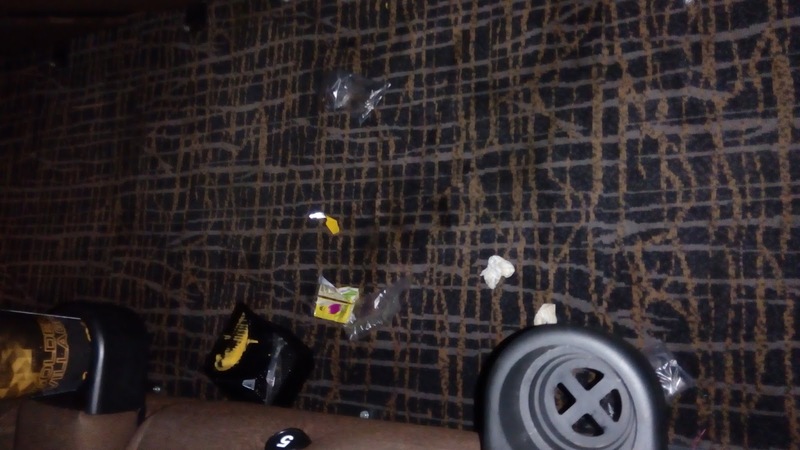 With 40+ cinemas around Singapore, that's 1,314 hours wasted every day just to collect the trash left behind in the cinema. P/s: Thanks GV for the free movie tickets!